What are “mindful kids? How is mindfulness cultivated and what are the benefits to kids being mindful? 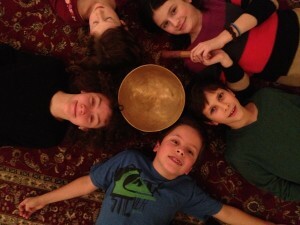 In this interview, Debby Haase, former Waldorf teacher and co-founder of the Madrona School, answers those questions. Debby will be teaching, for the seventh time, a 5-class workshop on “Mindful Kids” beginning January 14th at the Bodhi Center on Bainbridge Island. 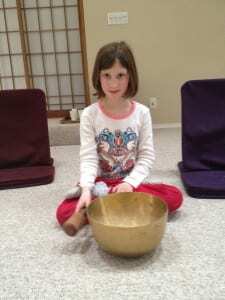 For five 75-minute sessions, children from age eight to twelve (give or take) will experience mindfulness in listening, breathing, doing activities, playing games and relaxing. The benefits of mindfulness training have recently been getting more widespread public attention – for everything from stress reduction in hospitals, clinics and corporate settings, to classrooms, to even the Seattle Seahawks. Participants have been reporting greater ability to focus, to respond rather than to react, to be calm and more peaceful. While there have been numerous studies published in neuroscience journals and popular magazines such as Scientific American about the benefits of mindfulness and meditation, there’s nothing like testimonials from 10-year olds. You can learn more and register for this 5-class workshop at the website of the Bodhi Center. 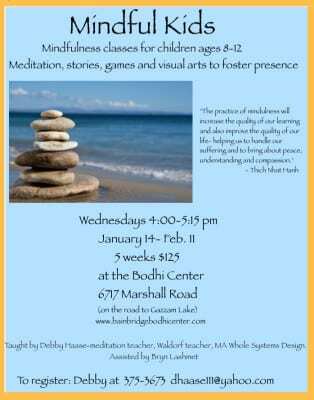 The Bodhi Center is located at 6717 Marshall Road. Credits: BCB host: Channie Peters; BCB editor: Sandy Schubach; BCB social media publisher: Barry Peters.